To secure a brighter future, today’s business professionals have a responsibility to share their experiences with new talent, often through public speaking engagements. With public speaking being a difficult skill to master, Pan Atlantic has looked at this year’s Oscars Ceremony for inspiration. No business owner has ever succeeded in isolation. Success depends on the acquisition of knowledge and whilst this knowledge can be gained through self-directed learning, the most effective way for new talent to understand how the world of business works is to learn directly from professionals who have experienced it all before. This puts a great deal of responsibility on the shoulders of established business professionals. Their experiences, both good and bad can play a vital role in shaping the next generation of business minds and help them avoid common pitfalls and hiccups during their journey to the top. To ensure their stories and advice reach as wide an audience as possible many business owners choose to speak at public events. Taking part in these events allows business professionals to uphold their commitment to support young talent without the time demands that arise from mentoring one on one. These events also present new professionals with the opportunity to network with likeminded people and build up connections which may be of use in the future. 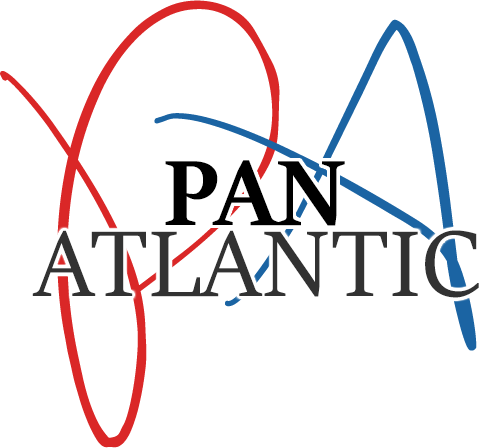 Pan Atlantic, a New York based direct marketing company have attended may events over the years, with their owner often being called upon to share his experiences within the direct marketing industry. A common theme they have identified during these events however is that public speaking is by no means easy, and many business owners struggle when engaging with such a large audience. Memorable speeches require great anecdotes, controlled body language and immense passion and this doesn’t always come naturally to some. To help business owners become more influential public speakers Pan Atlantic have been looking back at this year’s Oscars Ceremony; renowned as the home of provocative speeches where stars have the potential to create a legacy simply through their words, the firm have identified some key lessons business professionals can learn from the stars of the silver screen. Words have the power to change, which is why at this year’s ceremony Leonardo DiCaprio chose to address climate change concerns in his acceptance speech. Understanding the power of words can help make a speech stand out and ensure an audience leaves with the right message. Actors are experts on nonverbal communication. It’s important for speakers to think about posture, facial expression and voice when speaking as it will affect how the audience perceive them. Tripping over words or forgetting important facts can be embarrassing, however doing thorough research beforehand can increase confidence and limit the potential for things to go wrong. There is a fine line between funny and offensive and at this year’s Oscar’s host Chris Rock came incredibly close to crossing this line. Whilst humor can be a great way of building a connection with an audience, If a speaker isn’t sure whether something will cause offense, it’s best to leave it out. Pan Atlantic is confident that, as long as professionals consider the above pointers, public speaking will become far easier. As with any skill practice makes perfect and whilst public speakers may have the odd bad experience on stage, it’s important to remember that their words are helping to build a brighter business future.